Custom Imprinted LED Rainbow Glasses are suitable for promotions in all seasons. These custom glasses will light up in a rainbow pattern. Add your brand logo and give away them in company celebrations, anniversary celebrations, and other events. Coming in one size fits most adults; they are providing an imprint area of 1" X 3/16" in the front. Available in assorted color options, these custom sunglasses are a cool choice for making promotions interesting. 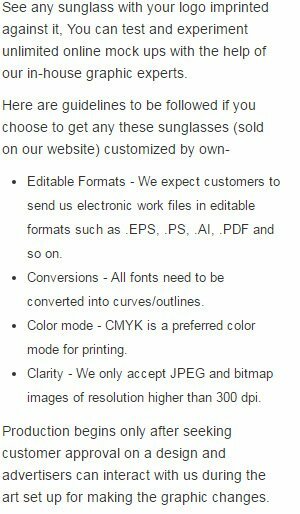 Order these custom novelty sunglasses quickly and grab our free artwork design and free online proofs facilities. Request a quote to know wholesale savings for these Custom Imprinted LED Rainbow Glasses.